A very curious monkey. A monkey who got into lots of trouble. 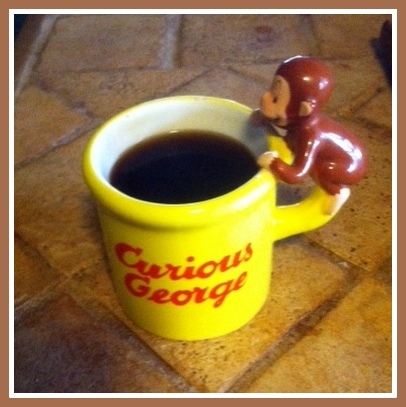 I have always struggled with the lessons of curious George. George was curious. He created a lot of havoc. And yet we are told he was a good little monkey. The man in the yellow hat was apparently a Zen master capable of controlling his emotions in the face of very frustrating events. He believes George is a good monkey. So then will I. Curiosity is good. Acting on that curiosity is even better. Finding something new and uncertain and digging into it. Rewards come for the curious. We all probably know that. We now live in a world where access to knowledge about almost anything is right at your fingertips. And I’m not just talking about the Google. Even if the Google doesn’t know it will lead you to someone or place that does. You can really explore as much as you want. Your options are almost limitless. A great sense of liberation and independence should come from this limitless access. You can explore whatever you want. But maybe this access is too limitless. You know and can see that you have been freed from your chains but you see so many desirable options you can’t choose. For every option you choose there are a thousand that must wait. What if you pick the wrong one? So with all this information available you try to analyze and make the right choice. But there is so much information and so many conflicting opinions. Analyze, choose, rethink, analyze some more. Yikes! Wait a minute! That’s not liberation. That’s paralysis. And it’s not just paralysis caused by the options. Once you choose, the information about your new passion is overwhelming. The other day I looked into tutoring. You know, helping people with their studies. Holy crap! I was like I’m going to have to study for years before I can even start tutoring. It’d be easier to go back to school and get a teaching license. I was overwhelmed and down on the whole thing after I looked into it. And I’m sure I just scratched the surface. So, that doesn’t sound very encouraging if you are thinking about pursuing new things, working that curiosity, does it? So what’s the trick? I am sure there are plenty of psychological theories on how to tackle this but I wouldn’t go there (just a lot more information to try and ingest when you are already overwhelmed). My trick is to grab a cup of coffee and relax. Don’t over think it. Grab one of your curiosities and run with it. Focus on the emotional and intellectual reward. Remember it’s not a competition. You’re curiosity is about you. And Curious George, of course. You will never know everything. I mean, isn’t that why you’re curious to begin with? 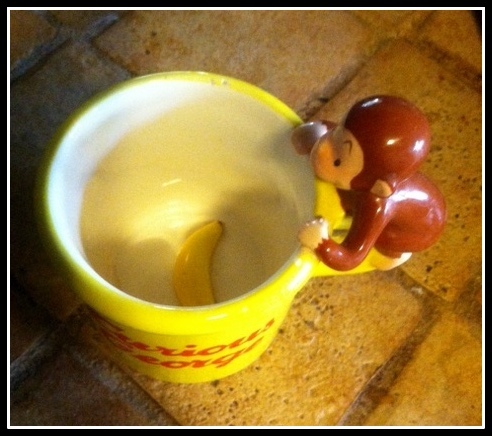 This entry was posted in Freedom, Personality and tagged analysis, choices, coffee, Curious George, liberation. Bookmark the permalink.